What EEG Analysis Tells Us About Hypnosis And The Brain? This week, I have been a bit light on the ground with my blog entries… My old pc just died. Just would not switch on. It was only a couple of years old, was top of the range and the company I bought it from (a subsidiary of Dell, so a big company) told me that the power supplies were no longer made and I’d need to get a specialist to recondition an old one or I needed to get a new pc. That was the sum of the advice and assistance I got from the people at Alienware. I shall never speak their name again. I then made the big cultural change to Mac and spent a couple of days googling how to turn it off and how to eject discs! I have had a very busy couple of days and so had to get the system set up for the priority of my clients and courses, but am getting up straight now and am back blogging… And at least you know it is being written on a very lovely new iMac. Computers are often used as a metaphor for the brain. We upload software, update it from time to time, though many insist on running on outdated software… The metaphor gets a bit tenuous, as does my attempt to link them to my blog entry today…. but as I promised way back last Monday, I am continuing to write about the brain and hypnosis today. Where do you start with a subject like this? When looking to understand hypnosis on some sort of biological level, we need to firstly examine the large amount work done using EEG analysis. An electroencephalogram (EEG) basically measures brainwaves. It does not do it basically, that is basically what it does. The EEG measures the electrical activity of the brain by sticking electrodes on the scalp around important brain areas (such as frontal, occipital, temporal, parietal, central) and the brains signals are amplified via the electrodes which can then be analysed. I was tempted to say that you have electrodes stuck to your head and then someone flicks a switch and you start juddering and having blurred vision for a few moments, but electroconvulsive treatment is no laughing matter…. Over the years, the vast majority of research and much of the earliest research on the brain and hypnosis was done using EEG. 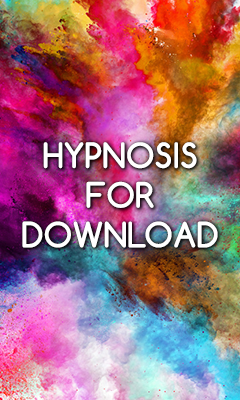 Among some of those early findings included the 1949 study by Gordon that resulted in us being able to show that hypnosis was completely different to sleep, despite many schools of thought believing it was similar (today many stage and street hypnotists still use the command “sleep” to rapidly induce hypnosis and many hypnotherapists refer to “hypnotic sleep” as a description of their client’s experience) the EEG showed that sleep was distinctly different to hypnosis and both were different to our usual waking way of being when looking at the brainwave patterns. Many studies since then have continued to verify this. Lots of the more recent research tended to focus on whether hypnosis brainwave activity was the same as the above mentioned bands of activity. If you look at the research literature from the 60s (London, Hart and Leibovitz, 1968 as well as Nowlis and Rhead, 1968 for example), these early findings suggested that the hypnotised brain most resembled an alpha state. Of course this led to lots of what still exists today, whereby people wanted to train others to be able to reach an Alpha level of Consciousness on workshops and released music that supposedly created a brain entrainment effect to reach alpha levels of consciousness (you regular readers know that I have written here about the nonsense that is entrainment theory when I wrote about binaural beats). I am not going to repeat my previous writing here, but the brain does not just synchronise with alpha level sounds it hears and then descend into an alpha state itself. What’s more, hypnosis cannot just be described as the same generic alpha state – it just has similar levels of brainwave activity when measured on an EEG. If you look on Google Scholar, PubMed and within peer-reviewed, academic neurology and hypnosis journals, you’ll see that the early EEG studies on hypnosis have had some (not undue in my opinion) criticism, but they did give us an in-road to the subject and put us in a more informed place moving forward. Graffin, Ray and Lundy, 1995. Ray, Blai, AIkins, Coyle, and Bjick, 1998. Theta levels have also been observed when someone has a high level of focus and absorption, which is important with hypnosis on many levels. Yet, there have been other studies that suggest theta levels are not the territory of hypnosis per sé, but they are characteristic of simply being relaxed, and though most in the field still think of hypnosis as associated with theta, it is not yet undisputed. This is an introduction really to the notion of EEG and how early findings influenced our thoughts and understanding about hypnosis. There is much more that we have learnt in more recent times. So I shall be continuing this theme next week, because there is much more to explore on the subject. In the meantime, here’s a very happy chappy with electrodes on his head, getting some old school EEG action… Have a great weekend. So it’s refreshing to read your evidence based writings. Also wanted to mention how much I am enjoying the Millionaire Mindset programme! Thanks Richard, I hope you continue to enjoy the programme… But don’t get me started on Binaural Beats (if you have read my article on the subject here on the blog you’ll know my thoughts and I tend to react to talk about binaural beats with an irritation comparable to having sand in your bum crack)… I love Carl to bits, he is fabulous and I have thoroughly enjoyed working with him. We have a confidence challenege about to go live in coming weeks, do look out for it. Let me know if you need anything regarding the Millionaire Mindset audio, and I hope you continue to derive much benefit from it. best wishes to you, A. Thoughts on what’s going on in our brain as we hypnotise a client? WIth the recent neuroimaging studies, PET scans, EEG and fMRi all demonstrating interesting but inconclusive findings, I’d only really be speculating or guessing as to what is going on. One thing seems certain currently, it is not the same for everyone.